What’s Wrong With Our Skies? What’s wrong with our skies? If you are of the older generation, born prior to the 1970s, you will remember long summers with endless clear blue skies and a clear delineation of the seasons. You knew when it was Winter, Summer, Autumn or Spring. Today we have a hodge podge of everything all year round. And although we were initially told it was ‘El Nino’ … the ocean currents, and ‘global warming’ that were to blame … the truth about all of that is somewhat different to what we’ve become accustomed to believing. Scientists tell us in fact there has always been climate change with periods of warming and cooling going on for thousands of years. And careful research reveals that the climate change we’ve been experiencing of recent decades has more to do with the little known practice of weather modification … since the 1940s in fact. There is now very clear evidence of this practice that you can observe for yourself, simply by observing the skies regularly. Locally, Robyn Goymour, a Rata farmer recently featured in the Manawatu Standard describing ‘jet contrails’ that create haze and smog, blocking out the sun’. He said ‘there are sometimes 40 jet trails that stay all day’. Rangitikei soil is great he says, and in some parts anything can be grown, but he believes jet vapour trails are blocking out the heat. They are causing cooler temperatures and preventing our region from reaching its horticultural potential he says. Another well known local observer is Palmy’s gardening guru, Wally Richards whose articles often refer to the effect these trails are having, blocking out the sun and playing havoc with agriculture. Day after day there is evidence of long trails up there which do not, as condensation trails should, rapidly disappear. Instead they linger and swell, and spread out into complete cloud cover. They can even be seen on satellite images … world wide. Scientists, whistle blowers, politicians and ordinary people world wide, have compiled undeniable evidence that proves they are not just simple contrails or vapour trails as I recall them. They are known to contain a very long list of chemicals … our weather is being manipulated or geoengineered. This is all verified in the official documentation as well. 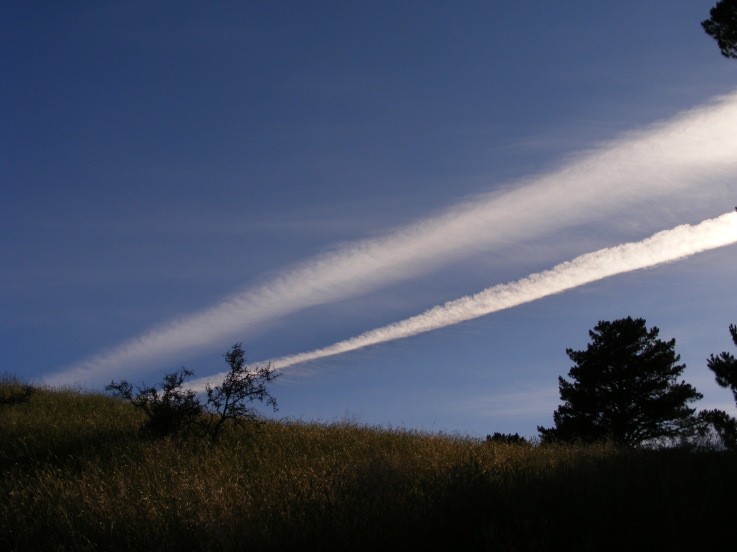 The Space Preservation Act 2001, HR2977 (Sec 7, (2) (B) ii) for instance, refers to the trails as ‘chemtrails’ and defines them as an ‘exotic weapons system’. (The term ‘chemtrail’ incidentally, has become almost a slang term). I personally realized something was very wrong with them three years ago and have been documenting and researching the available information ever since. I have also chatted with people in various local places who have noticed the trails and know something is amiss here. Please, as I did, read the evidence before dismissing this as conspiracy. A good place to start if you want the ABCs of this practice is http://globalskywatch.com/. There are many other excellent sites but this one is easy to navigate. (And a warning, you will see many disinfo sites telling you this is all a hoax or conspiracy. More pertinent then that you do your own research). If you prefer to watch a doco, see Clifford Carnicom’s video called ‘Cloud Cover’ below. Carnicom is from the US and has been scientifically researching and documenting chemtrails for many years, at his own expense. ‘Geoengineering is a theoretical concept that would involve the manipulation of the earth’s environment to make the effects of climate change less severe’. ‘activities specifically and deliberately designed to effect a change in the global climate with the aim of minimizing or reversing man made climate change’. Governments everywhere say that geoengineering is not currently happening. Bear with me on this line of thought and government stance. Doco – What in the World are They Spraying? Whistleblower Dr Deagle – the Doctor who treated chemtrail pilots, a short one minute clip explaining why chemtrails are sprayed. Chemtrails, he says, are nasty’. (See below for a list of contents). Dr. Deagle has done many presentations … if you wish to see more just youtube or google search his name. Keith, who is also known for his reckless statement that this ‘proposal’ to dump sulphuric acid into the atmosphere is like ‘free riding on our grandkids’, was also interviewed about his new book on the Colbert report. It was put to him that geoengineering was in fact already happening, which he says ‘is extremely unlikely’. He, like the governments, continues to deny what is in plain sight … all the documented evidence and the say so of many whistle blowers as well. As discussed here, the idea and practice of manipulating the climate is nothing new. We’ve just not been made aware of it. If we were we’d all be asking why there are droughts then? Or why don’t they make it rain in famine stricken regions of Africa to feed the hungry? This would be an easy feat. In fact, a Californian researcher, Rosalind Peterson, says that ‘right now, I can modify your weather. I can hire a company, I can modify your weather, I can initiate a weather modification program over your city, over your county, over your state. The company I hire will enhance the snow, enhance the rain, dissipate the rain, dissipate the clouds. I can put you in a drought because we have the technology and it’s been with us since the 1940s’. This technology is even less known to us here in NZ. During the Vietnam war the monsoon season was prolonged by the artificial inducement of rain (cloud seeding) so that the weather was in fact weaponized. Being a military operation we the public were not privy to this information. 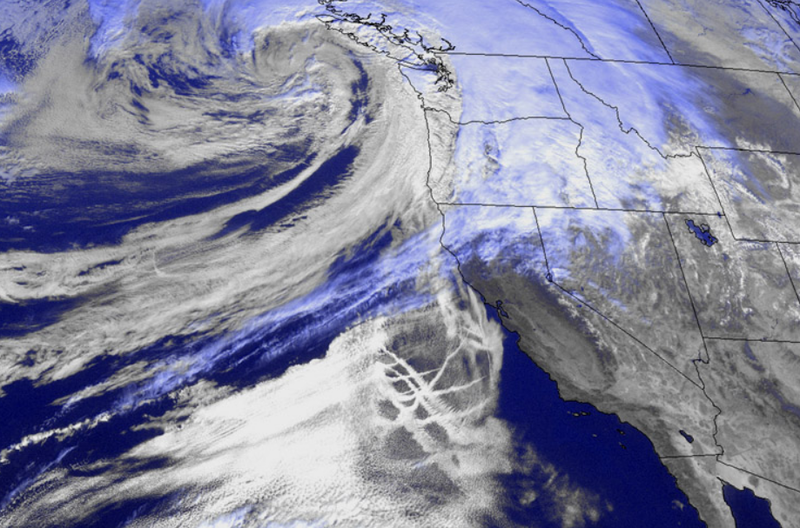 To learn more about the history of geoengineering and weather modification, visit the website, climateviewer.com. You will find there a 100 year timeline. As you further explore and research this topic, you will also find there is more to it than simply modifying the weather. The fact alone that it is a military application illustrates this. Elana Freeland addresses this in her book, ‘Chemtrails, HAARP, and the Full Spectrum Dominance of Planet Earth’. (To read the research and draw your own conclusions, further helpful links are provided at the bottom of the page here). Rosalind Peterson is President and Co-Founder of California’s Agriculture Defense Coalition (ADC). The ADC was formed in 2006, to protect agriculture from a wide variety of experimental weather and atmospheric testing programs. Rosalind was a Crop Loss Adjustor working for the Department of Agriculture in California when she first began studying and researching geoengineering. She noticed in around 1999 in the course of her work that many trees were dying. Being outdoors frequently she also began to notice trails in the sky and noted that the aircraft were in fact flying in circles out over the ocean and back again. The trails they left differed to condensation trails older folks remember that used to dissipate fairly rapidly. These trails as noted above, spread out and eventually form into cloud cover. You can listen to Rosalind here as she speaks to the United Nations in 2007 about how geoengineering is affecting agriculture. SITE GUIDE: To search for other geoengineering & related articles go to ‘Categories’ on the left hand side of the page, use the search box at the top right of the page, or the tag cloud on the right. Dr David Lim is a researcher in the UK who has also spent many hundreds of hours researching geoengineering. In the following comprehensive presentation he documents the practice and provides well referenced information that will leave you without doubt regarding the fact that it is indeed operating right around the planet. To summarize thus far, it’s little known that geoengineering is a practice that’s been happening since the 1940s, is still happening around the entire planet, but is being flatly denied by governments … referred to currently as a theoretical concept only. This has all in effect become the elephant in the room since clearly, what people are seeing cannot be denied. The question posed in the Colbert Report; ‘have you noticed those planes up there with contrails behind them?’ has been strategically ignored. The reality is … there are millions of images captured world wide by sane people with cameras … video footage that cannot be denied … and whistle blowers who have lost their careers for speaking out about this. Kristen Meghan is one of many, an ex US military woman who was ordering in the chemicals for spraying and began to ask questions. The only official explanation they give for those trails is ‘condensation’. Why, you have to ask yourself, are there grids and crosses up there if these are normal aircraft flying from A to B as we are being asked to accept? Since first observing the trails myself in PN in 2011, I’ve been documenting them daily and have accumulated many hundreds of images and videos. I have also watched and repeatedly documented trails that spread out to eventually form cloud cover as the images (i)-(iii) here, illustrate. There is a lapse of forty minutes between the first and the last. As we know, if these were condensation trails they would have disappeared within minutes of being laid. 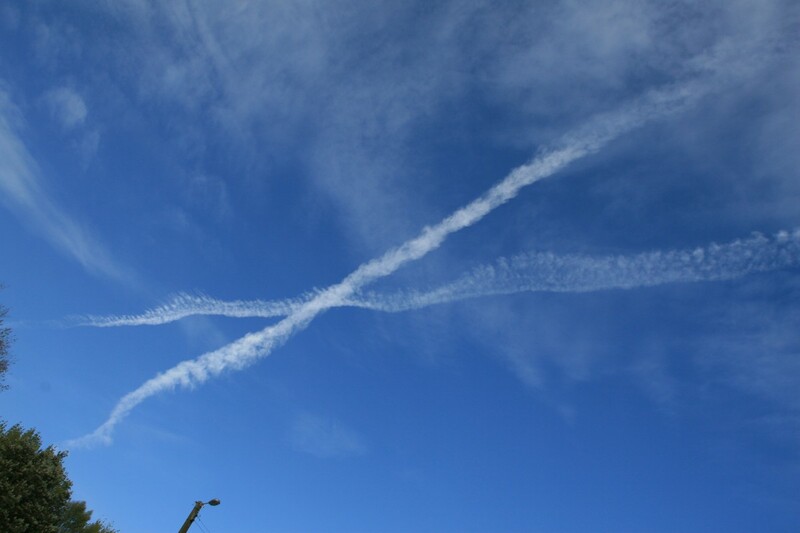 Again, why do we have crosses and grids in the sky? At times I’ve seen several aircraft, as many as five, flying backwards and forwards along the horizon leaving trails, rendering Keith’s references in his videos to the unnecessary use of jet fuel a ridiculous understatement. The satellite images that show the extent of these trails leave the mind boggling regarding the amount of fuel and flying hours the operation is consuming. 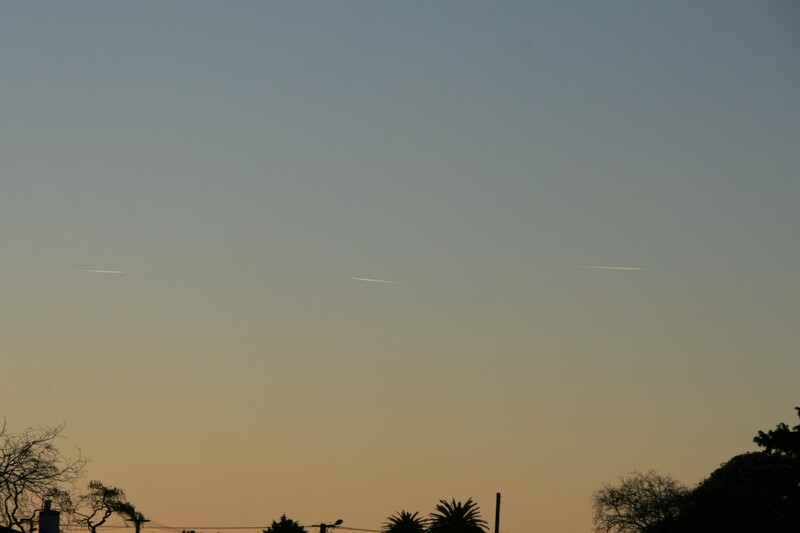 Below is an image captured over Marton (v) when I observed five aircraft flying up and down simultaneously. The other (iv) shows a satellite image that reveals the extent of the trails. (v) Marton NZ, 7 Sep 2014. Three aircraft visible here, although five observed. To view the information section for this video, click on ‘Vimeo’ at the bottom of the screen to go to that site. The information is below the video. “Kristen Meghan, Ex-Military, former Air Force Sr. Industrial Hygienist/Environmental Specialist. Her job was Air Force Specialty Code (AFSC) was 4BOX1, Bio-environmental Engineer. 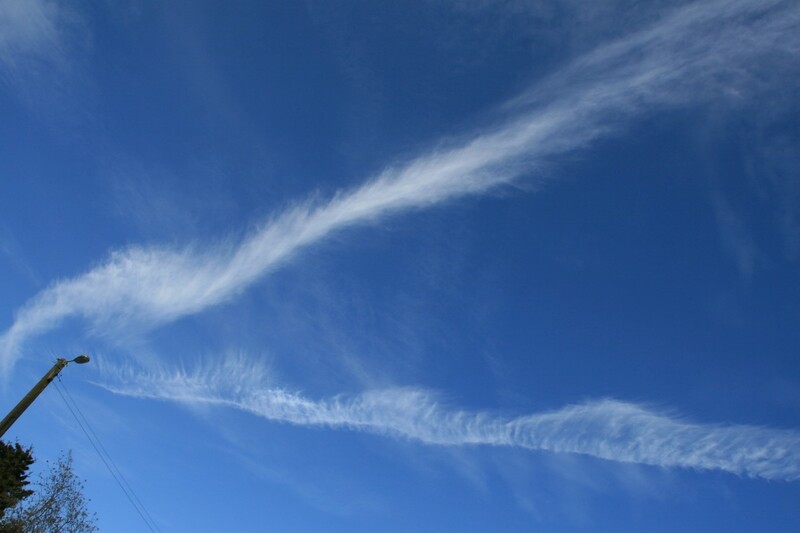 “Chemtrails contain various mixtures of chemicals and sometimes even viruses. 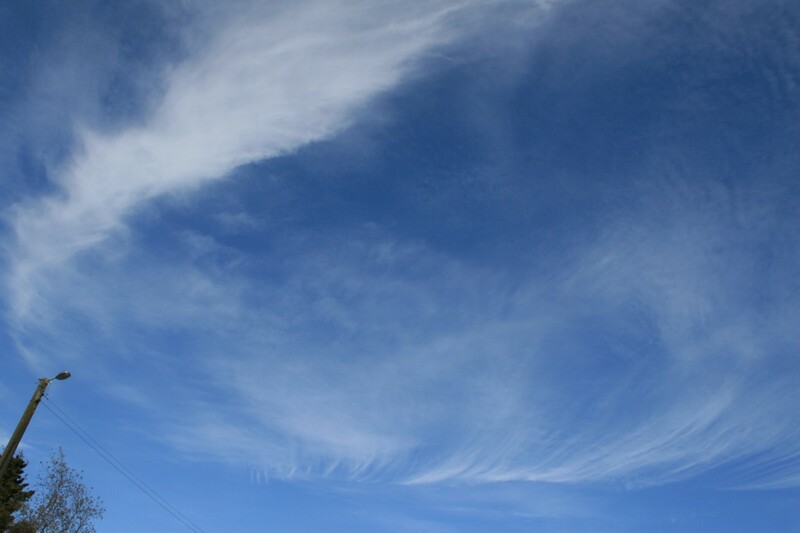 It is disturbing to see them on a clear blue sky and they persist for the entire day. Then there is no more sun during that day.” According to Pernilla Hagberg, chemtrails are intended to control the weather and to influence sun rays and nature. She does not exactly know who is responsible for these chemtrails but suggests that the intention might be to gain more control over the global markets, the prices of commodities and food. “It is something steered by the USA and Russia. It is connected to the military”, says Pernilla Hagberg. Here are two slide shows of trails I’ve observed over the Rangitikei during 2013 and 2014. They represent only a very small proportion of what I observe daily. I post these monthly or bi-monthly to emphasize the volume of what we are subjected to. What is in the Trails? People have had the trails tested scientifically to determine their contents. A list of some of the chemicals that have been found and their health effects can be found at this link. Included are Aluminum Oxide Particles, Arsenic, Bacilli and Molds, Barium Salts, Barium Titanates, Cadmium, Calcium, Chromium, Desiccated Human Red Blood Cells, Ethylene Dibromide, Enterobacter Cloacal, Enterobacteriaceae, Human white Blood Cells-A (restrictor enzyme used in research labs to snip and combine DNA), Lead, Mercury, Methyl Aluminum, Mold Spores, Mycoplasma, Nano-Aluminum-Coated Fiberglass, Nitrogen Trifluoride, Known as CHAFF), Nickel, Polymer Fibers, Pseudomonas Aeruginosa, Pseudomonas Florescens, Radioactive Cesium, Radio Active Thorium, Selenium, Serratia Marcscens, Sharp Titanium Shards, Silver, Streptomyces, Stronthium, Sub-Micron Particles, (Containing Live Biological Matter), Unidentified Bacteria, Uranium,Yellow Fungal Mycotoxins. The presence of Aluminum, Barium & strontium at above normal levels is frequently being detected in rainwater and soil world wide, including New Zealand’s. The cost of testing water for these three chemicals is around $50. Very cost prohibitive. If you feel inclined to donate anything towards the cost of an analysis of our rainwater in one of NZ’s testing labs, please contact me. (This site is a free WordPress site – it produces no revenue for the author, and any ads on it are placed there by WordPress because it is free). Ok mr beedeebeedee, oh knowledgeable one. Firstly what is your name? I decline to listen to or publish the advice of anonymous people who can’t even tell me their name. Anyone can add the title of a website to their comment so that tells me nothing. And there are constructive ways of offering criticism, as in constructive criticism. We have enough angst from the opposition without getting it from our own side as well. Thanks. The bugs video – yes an accurate summary of the current status quo isn’t it? ‘If they all find out’ and they ARE finding out/waking up right now in increasing numbers I notice. Look forward to seeing your photos and of course in time, the results you get from tests. Wow, thank you. I used to watch Michelle a lot but have lost touch. This is shocking. I have many images of pink clouds too taken here. And the vaccines. Not good knowing what we do. They’re very determined aren’t they? Interesting what you say thee Pam, “…not good knowing what we do..” With so many so blind to reality, so many have access to the internet but fail to look beyond the likes of Face Book to see the world they live in. If only they would take some time to possible explore the net, on info such as vaccines, fluoride, chemtrails, 9/11 etc etc they might see some dangers or see stories that mainstream have been telling and showing, just dont add up to TRUTH. But in saying that, every day there are more and more awakening to the truth and beginning to speak up. If you havent seen this video, well worth checking out. Its what you can call subliminal messaging. Its where in a movie a message will be seen or heard and believe it or not, “A Bugs Life” has one. See what you make of this very short video clip…. This info is serious. Thank you for posting … (I deleted in error & couldn’t restore. Have reposted). I would like to test our rainwater at some stage, it’s just been cost prohibitive. It is often pink. Do you know what pink indicates? It leaves a dark pink residue in the container. Pam if i had “pink” water, i would be getting it tested. Sometimes just have to crucify the dollars to get things done and to find answers that may puzzling, especially “pink” water. it may not be too bad as it may be copper, copper pipes in your house. Yes, you’re correct … I must just do it. Will post some pics of the pink residue. It’s not pipes as this, as you’ll see from the pics, is rainwater straight from the sky. I upturn my plastic outdoor table when not in use because high winds blow it away and the rain collects in that. It doesn’t look pink while falling but once the residue collects it’s pink. Have seen other folks pics though of pink rain on their windscreen. I’ve posted two pics of the pink rain half way down the Rangitikei Geoengineering page. I’ve posted your vid as a post SCSW. Let me know if you would like me to tweak in any way or remove … praps should’ve checked first. Ok, I shall … thanks. Great work nevertheless. "We shall propose further cooperative efforts between all nations in weather prediction and eventually in weather control"
"Why, you have to ask yourself, are there grids and crosses up there if these are normal aircraft flying from A to B as we are being asked to accept? At times I’ve seen several aircraft, as many as five, flying backwards and forwards, simultaneously, along the Whanganui, Rangitikei horizon leaving trails"